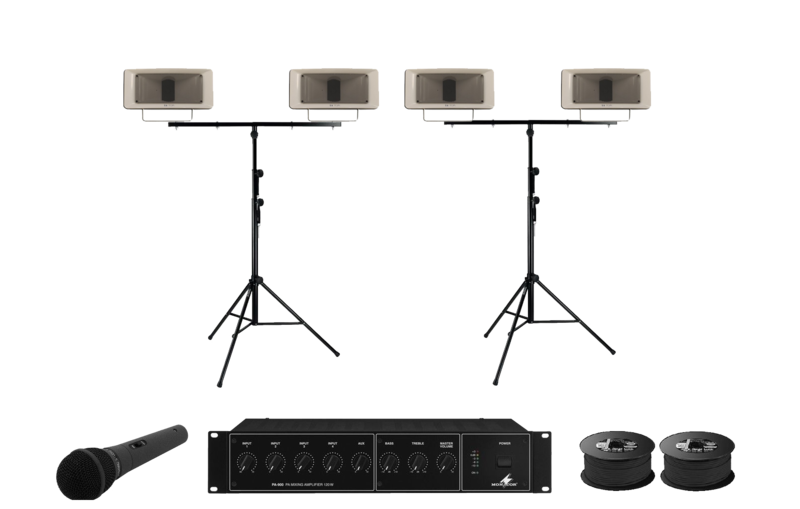 Philtronics offer a wide range of PA equipment for every applications. 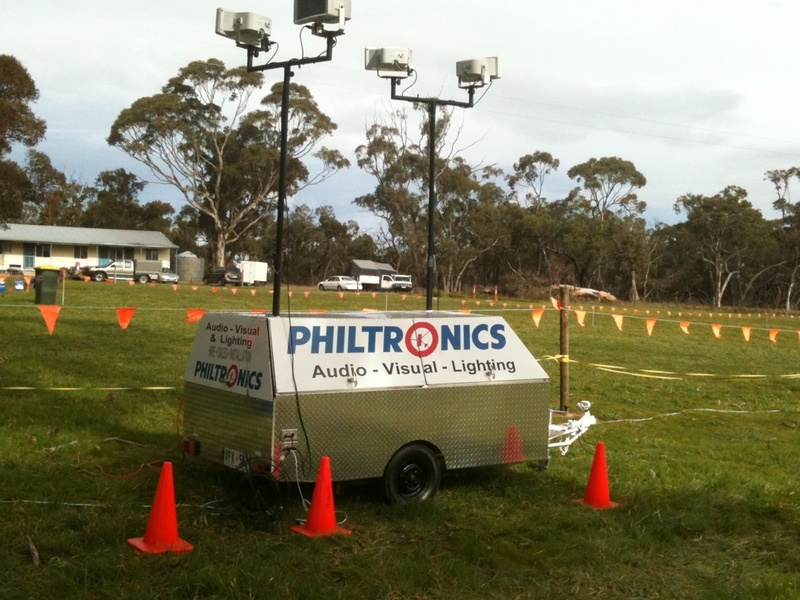 Philtronics cater for a wide variety of outdoor functions and events, such as school sports days, motorsport events, festivals and more. ​to ensure your big event goes off without a hitch. 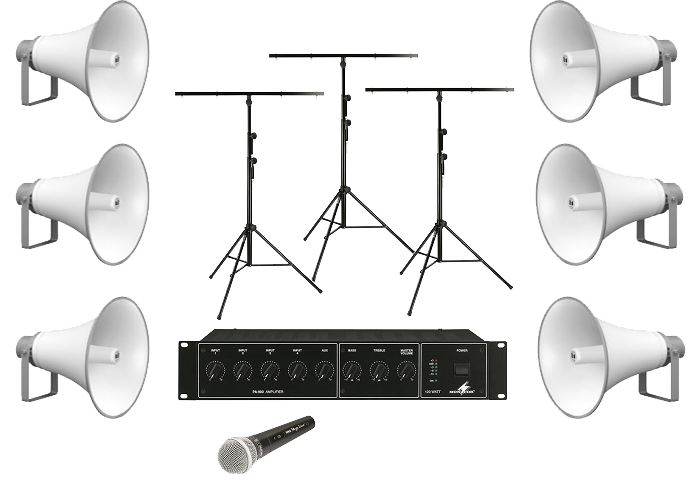 This system provides you with 2 x large outdoor horn flare speakers to project your message further. Ideal when you need to address a crowd that may be up to 150m away from your location. 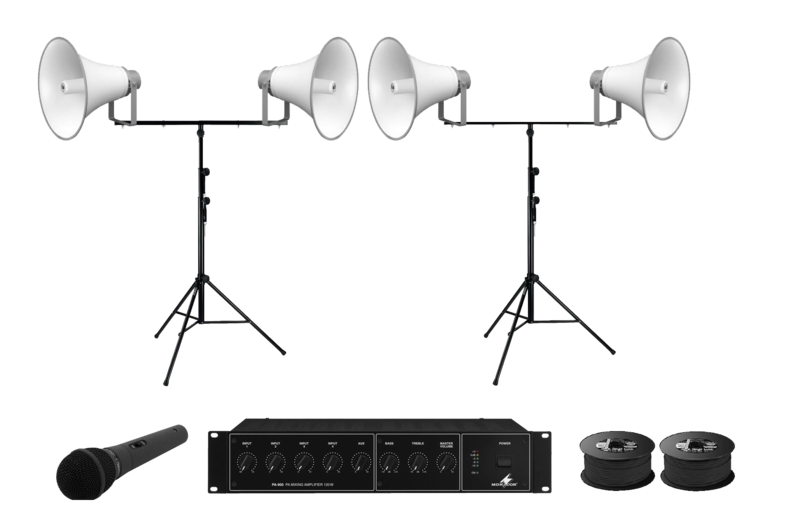 The large outdoor horn flare speakers provide high levels of volume for speech and background music requirements. Optional extras can be also have be added to this system, such as radio microphones, MP3/Ipod music input. 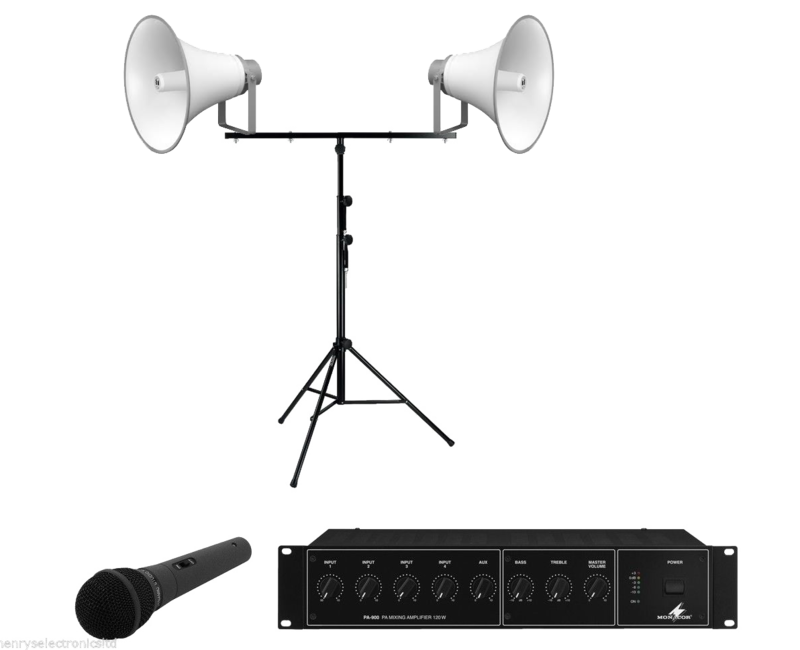 This system provides you with 6 x large outdoor horn flare speakers and 240w amplfiler/mixer to project your message further. Ideal when you for larger crowds and functions where your audience may be spread out in all directions. The large outdoor horn flare speakers provide high levels of volume for speech and background music requirements. 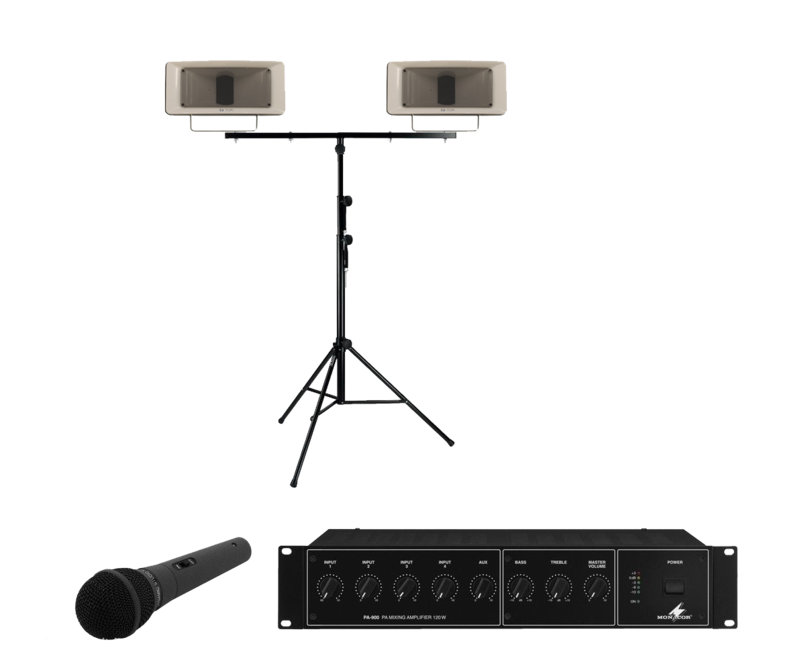 This system is also provided with long speaker cables on reels for easy setup and connection between speaker locations. For LARGER events or specialised outdoor requirements we can provide a wide variety of PA configurations including wireless links to a variety of locations around your venue. Please contact our staff to discuss your requirements and our technical team will assist and ensure you have all the right equipment for your special outdoor event.